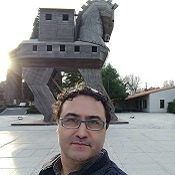 Oguz K was the bet tour guide I ever had, very knowledgeable , showed me the best spots , extremely enjoyed his company, he is very personable as well and was very patient with me . I had wonderful memories of Istanbul . Thank you so much. !